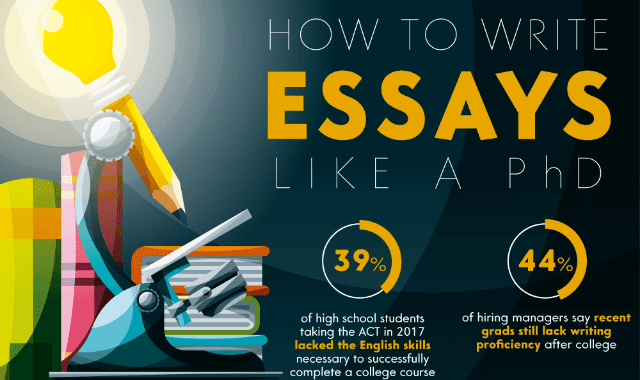 How to Write the Perfect Essay #Infographic ~ Visualistan '+g+"
Most of us spend a good portion of our educational career tackling the essay. From the time we learn to read, write, and form sentences, the essay assignments flood in. Though these are skills that last a lifetime, but some of us may find ourselves feeling a little rusty, but nothing a quick brush up can’t fix. Step one may seem obvious: simply reviewing the assignment. Whether you’re in elementary school writing your first book report or getting started on your final dissertation, you may be surprised what insights can be found from the assignment guidelines. Determine what kind of essay the assignment calls for; is it a story-telling narrative essay, or a more technical expository essay? Knowing official deadlines is a key step to managing your own time efficiently, as well, and almost always will be found with the assignment requirements. From there you can begin your research, note taking, outlining, and voila! You’ve built yourself a strong foundation to stand on and begin the writing. From book reports to dissertations, essays are with us every step of the way through our education. Keeping our critical thinking, reading comprehension, and research skills sharp not only aids us on writing clearly and succinctly but also promotes good communication skills. Take a look at this infographic for a quick review on how to write the perfect essay.